He Kakano – Live to Learn is a co-design framework to create learning environments that meet the needs and aspirations of Māori. It seeks to create a blueprint for change for a national education system that improves hauora Māori. He Kakano is also facilitating the re-design of curriculum and pedagogy, including alignment with current Māori-specific NZQA national standards. The flagship has been developed in partnership between Toi Tangata, Healthy Families Manukau, Manurewa-Papakura, and Manurewa High School. The next step is to see the framework adopted in all schools across South Auckland, and a community of practice to support, guide and advocate for the development of this kaupapa is being formed. If you are a marae, a community organisation or a school interested in joining a community of practice or learning more about this approach for your kura, we would love to hear from you. 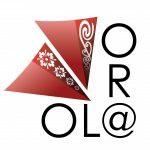 The Ol@-Or@ research project, initially called the Welltext project, aims to create an intervention tool to reduce the risk of heart disease, obesity and diabetes in Māori and Pacific Islanders. Funded by the Healthier Lives He Oranga Hauora National Science Challenge, the study works in partnership with Māori and Pasifika communities (with the target age group of 18 years or older) to create and design a mobile health lifestyle support programme (mHealth Tool). The tool requirements include compatibility over a range of devices such as tablets and smartphones and the capability of supporting healthy lifestyle behaviours, including exercise and eating well. A large part of our role included working alongside and co-creating an mHealth tool with two communities, Waiwhetu (Poneke) and Te Hā Oranga (Ngāti Whātua) using an approach called co-design. We are using co-design methods to ensure the mHealth tool meets the needs and wants of our end-users. Co-Design is the principle of participatory design; an approach to design which attempts to actively involve all stakeholders (those impacted by the design) in the design process to make sure the result both meets their needs and is usable. Co-Design enables whānau to make a creative contribution to a solution of a problem.